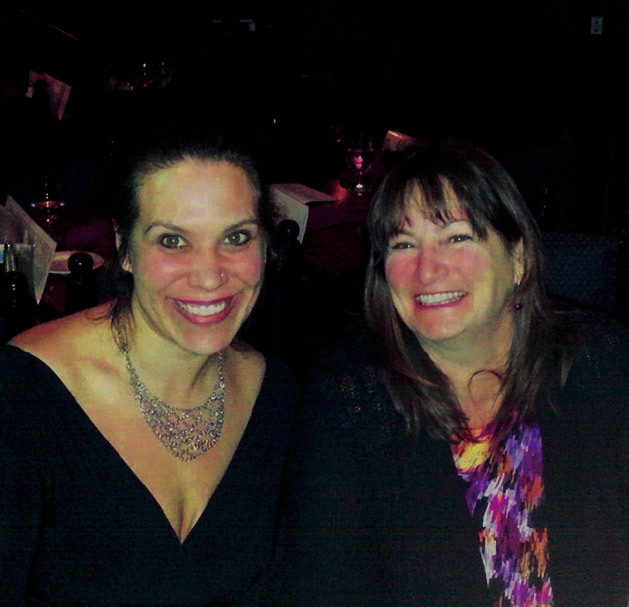 Southwest Metro Magazine art director Jacqueline Hagyard and Chanhassen Dinner Theatres' Casey Quinn. Our art director had a ball at the Chanhassen Dinner Theatres' newest show. This past Friday night, my husband and I had the pleasure of checking out the new show at Chanhassen Dinner Theatres, and we weren't disappointed. The meal was delicious and the performance really brought the story to life. The Chanhassen Dinner Theatres' newest production is based on the beloved Hans Christian Andersen story and accompanying Disney film. This musical adaptation was produced by Howard Ashman and John Musker, and written and directed by Musker and Ron Clemments, with music and lyrics by Broadway greats Alan Menken, Howard Ashman and Glenn Slater. When I think of mass-produced food catered for hundreds of people, it doesn't whet my appetite. Thankfully, I was pleasantly surprised. I had the grilled top sirloin, cooked to medium-rare perfection, and my husband had the tri-color cappelletti in a rosa sauce. For dessert we shared a huge slice of moist, flavorful gourmet carrot cake. The service was excellent and I cannot wait to return to try some of the other entrées, including the Famous Chicken Chanhassen. Sitting next to us for the show were Casey Quinn and her husband, Al McNee. Casey works for the Chanhassen Dinner Theatres tour buses, and she shared an abundance of information about the Theater. I'm a curious person by nature and am always asking questions, and Casey knew everything. We learned about the backstage elements, like how each set is constructed to be brought into the theatre through a small, one-car garage door and then pieced together for the show. She explained how the foundational pillars on stage can't be removed and have to function as part of the set for each show. She knew which actors have performed in other shows around the city and the country. If anyone is interested in the behind-the-scenes details of the performances, I would highly recommend taking her tour. I was also pleased to find that my appreciation for The Little Mermaid and its characters changed from what I had known from the movie version. My favorite characters in this interpretation were Ursula and Scuttle. Kersten Rodau gave Ursula’s character such wonderful drama in her facial expressions, fantastic voice and body language that she stole the show for me. Jay Albrights did a wonderful job of playing Scuttle. The crazy, annoying bird was hilarious, and brought huge laughter from the crowd. The costumes of all the characters were beautiful and well-crafted. Caroline Innerbichler, as Ariel, was note-perfect. If I were to close my eyes, I would have sworn it was the original voice I remember from the movie. Overall, The Little Mermaid and a delicious meal made for a wonderful evening. My husband and I agreed that we'll be returning with friends and family. Want to attend the show? The Little Mermaid star Caroline Innerbichler will be riding a special SouthWest Transit bus and giving away tickets to the performance on a mystery date this week. Look for the bus with Ariel's face on the side and hop on for your chance to win.